Georgia-Country Review of "Never Been to Nashville"
Savannah based band Lyn Avenue has been honing their craft and music for the last several years and their newest cd "Never Been To Nashville" is proof that their hard work and committment is paying off. The opening and title track, opens up with a two steppin' groove talking about how "talk" is cheap about all the rewards of their business as they've "Never Been To Nashville", but they don't mean anything till they've done them, but they keep on trying till they get there. What's a country cd if you don't have at least one song about "drinkin'? Well, they bring out their bluegrass side with "Kentucky Bourbon". A toe tappin', sing-a-long cut that will get you up and singing along. The band slows it down next with "Everyday Guardian Angel". A ballad about tackling life's everyday hurdles but needing that help from someone special. Track 4, titled "Whatever It Takes (To Bring Me Back To You), keeps you on that even keel about looking forward to getting back to Georgia and seeing that someone special, and doing "whatever it takes" to get there. 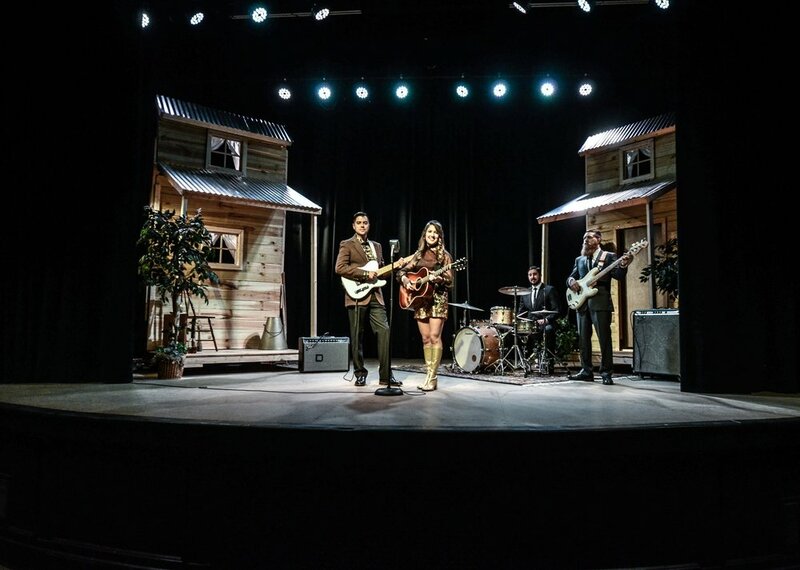 "Little Big City Town" is an easy going cut that talks about living in that small town but having the things they love that maybe those bigger cities just don't quite have. The cd has a bonus track called "I Guess You Don't Need Me", ending the cd with a story about that person that you've helped through troubled times, but now they are moving on, but you're the person not sure what to do without them. Multi award nominated Lyn Avenue very well could be one to watch this year or next as the newest crop of country acts from Georgia, that make it on big on the Nashville scene. Their sound will remind you of Lady Antebellum but with a more "old school" country feel, with great story telling, tight harmonies and laid back feel. CREDITS: CC Witt: Vocals / Acoustic Guitar , Jay Rudd: Mandolin / Banjo, Patrick Ellington: Vocals / Lead Guitar, Igor Fiksman: Pedal Steel, Larry Jones: Bass / Upright Bass, Kenny Munshaw: Piano / Organ, AJ Davis: Drums (Kentucky Bourbon), Daniel Malone: Drums / Percussion, Nancy Witt: Piano (I Guess You Dont Need Me). Produced by Peter Mavrogeorgis & Lyn Avenue. Mixed & Mastered by Peter Mavrogeorgis at Dollhouse Studios. Songs written by Patrick Ellington and CC Witt. Photography by Michael Grafton.